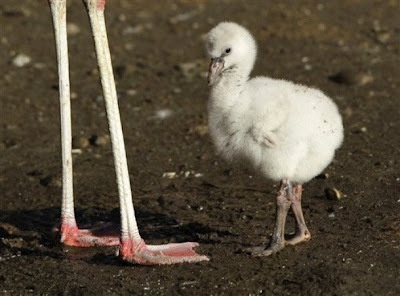 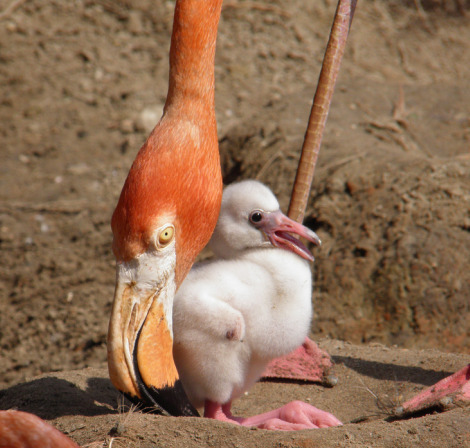 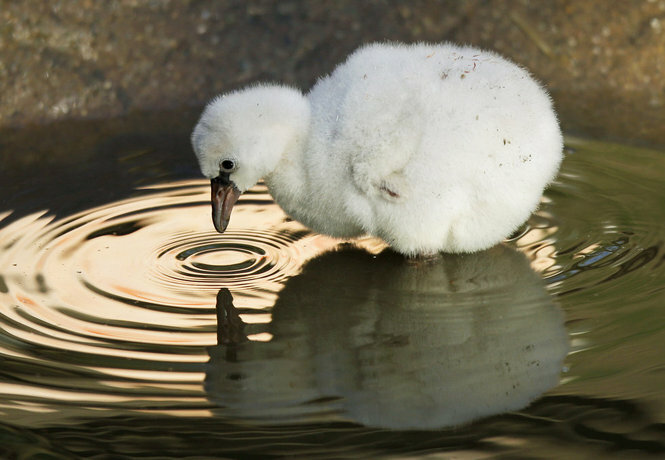 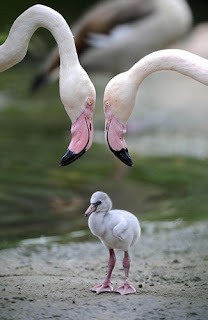 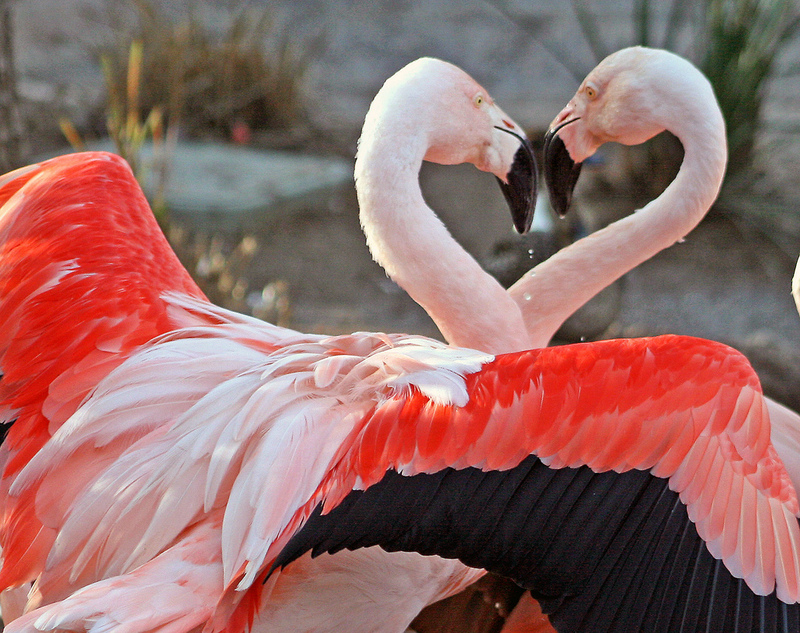 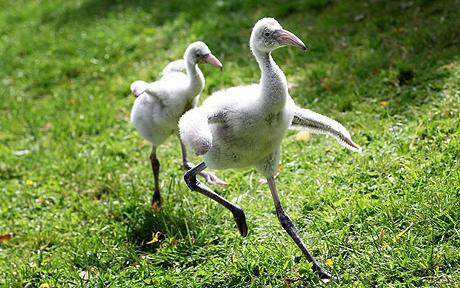 Flamingoes are known by their bright pink appearance, but their babies are actually white and fluffy! 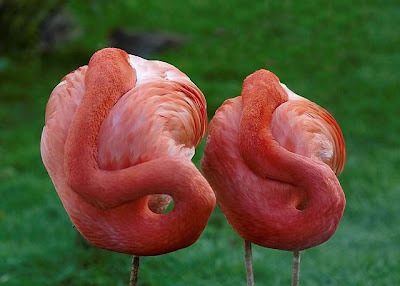 I wonder what makes them go pink :3 Anyway there are six species of flamingo and some are currently threatened by industrial development and Human pollution. 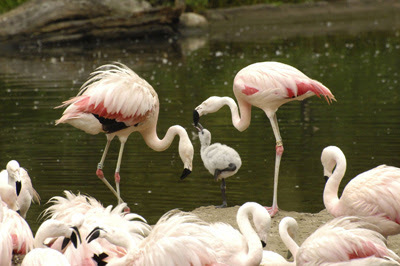 The babies are extremely cute and the full grown flamingo is very beautiful, though the intermediate is a bit weird, I'll have to admit!